Picture drinking your morning coffee watching the sunrise over protected open space and then hopping on the RTD light rail for a quick commute to work Downtown. 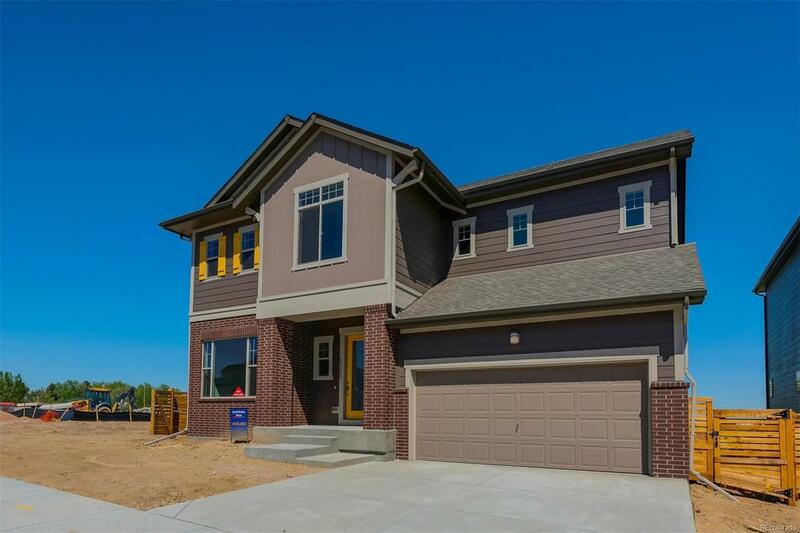 This kind of serene efficiency can be yours with this BRAND NEW DAVID WEEKLEY home! The double-sided family room fireplace and stunning vaulted ceilings offer an elegant center for all of your guests to gather. A separate bonus room on the main floor can be used for a formal dining area, study, or cozy private sitting area. Escape to your master retreat with en suite bath, super shower, and walk-in closet. Active Radon Mitigation System, Tankless Water Heater, CAT6E, and an Energy Performance guarantee make this home as green as it is luxurious. Builder Provides 1-Yr Full Warranty & a 10-Yr Structural Warranty. The Clubhouse, community garden, dog park, playground, brewery, and coffee shop are all within walking distance! Close to bike path, Twin Lakes Park, and RTD Bus & Light Rail. New School Coming in 2019!